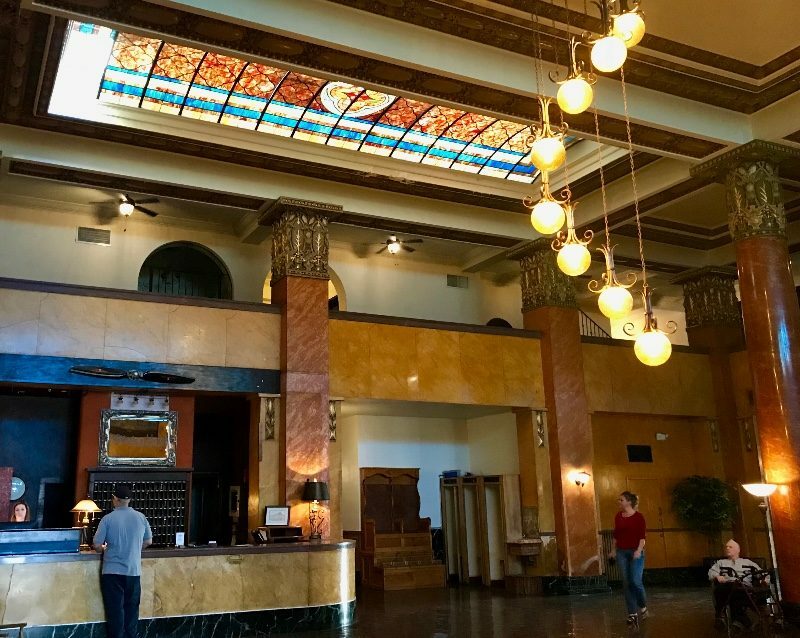 The historic Gadsden Hotel was originally opened in 1907, burned down and then rebuilt in 1929. 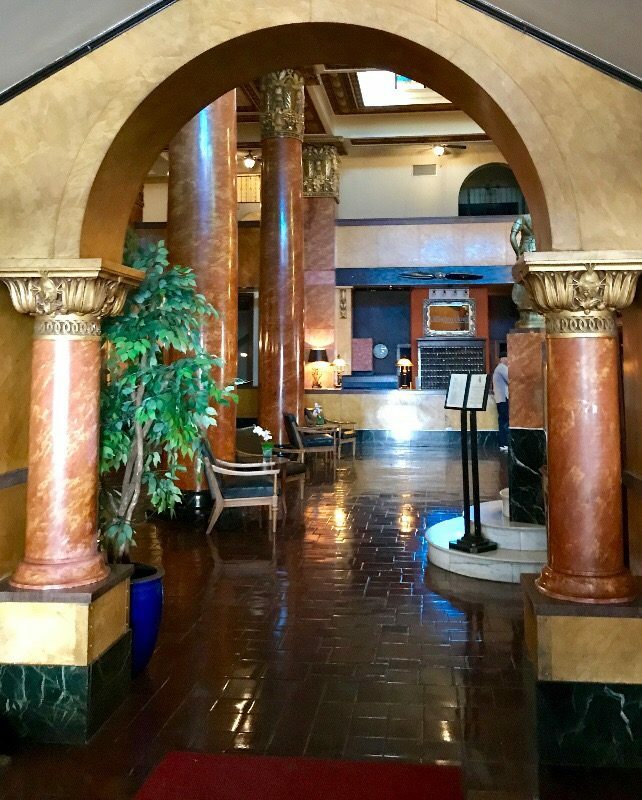 Over the years, the hotel gained fame, and has appeared in several movies. It was added to the National Register of Historic Places in 1976. 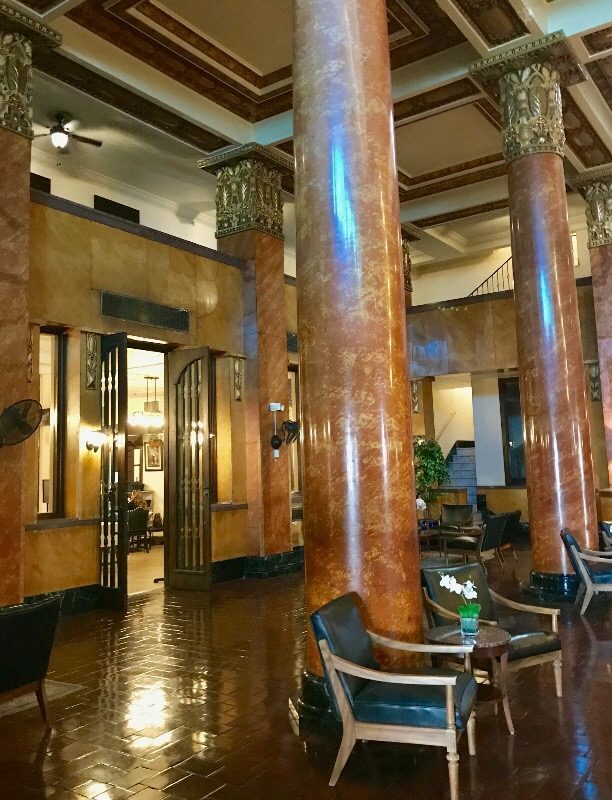 The impressive lobby included tall marble columns and an Italian marble staircase leading up to a mezzanine with a gorgeous 42ft stained glass windows mural by Tiffany. The ornate ceiling included more stained glass skylights. Wow! Pancho Villa was reputed to have ridden his horse up the marble steps to the balcony. 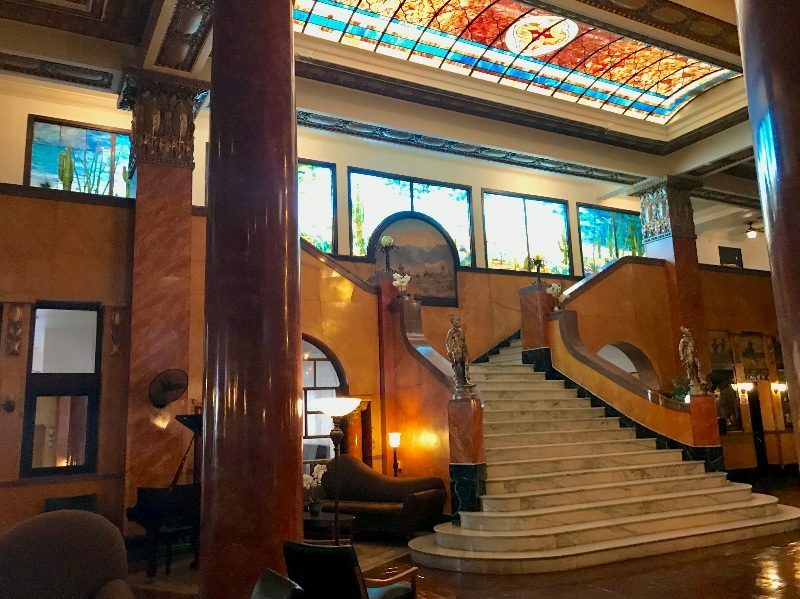 Many famous folks have stayed there, and some rooms are supposed to be haunted by ghosts. 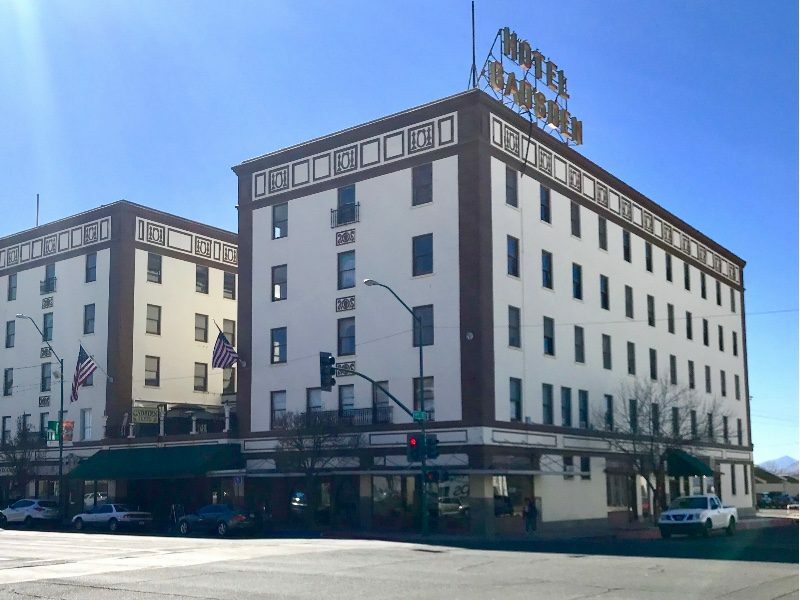 Mostly, the hotel has served the businessmen, miners, ranchers, and cattlemen in the area of this border town. What a grand find! What a magnificent treasure! I love the stained glass. They just had a feature on TV about a company that is making stained glass and how they used ground glass to add texture. It’s truly an old but timeless art. Thanks for sharing this find. It can be really amazing if done well. Not something I would expect to find in a small border town. The staircase was just used as a model for the most recent Oscars designed by Mike Page from Bisbee. I’m not surprised. The hotel had some beautiful decor.